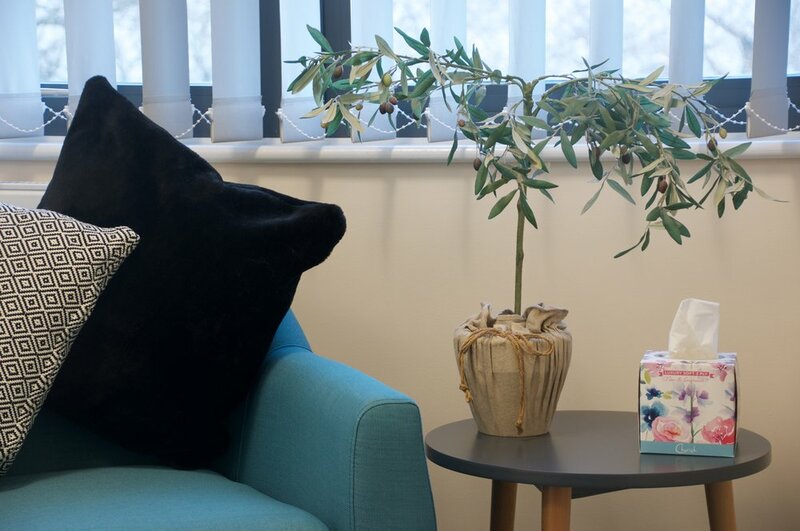 We work out of a modern office block in a business park near Roche, within reach of Truro, Newquay, St Column, Wadebridge, Bodmin and St Austell. Just 2 minutes off the "main vein" of the A30, we have excellent road AND rail links, making us easy to get to and, because we are in an out-of-town location, there are no traffic or parking headaches to worry about. Indeed, there is free and convenient parking immediately in front of the building. When you arrive at our offices, enter Advent House via the main door. There is a reception area. The receptionist may be at the desk and may direct you but, if no-one is there, you can proceed to our office which is on the first floor, to the right of the stairwell and lifts. To be courteous to all our clients, we observe strict timings so we will be ready to receive you at the scheduled time of your appointment. If you arrive earlier than your scheduled appointment time, we invite you to wait either downstairs in reception, in your car or in Biscuit cafe situated 100m from Advent House. Our office, which is on the first floor, has access to a lift so wheel chair users and those with mobility issues can visit us. Come off the A30 at the Cornwall Services junction and follow the signs to Roche. You will take a left shortly after passing the services. Follow this road and the signs to Victoria Business Park. You will come to some traffic lights that control traffic going over a single lane hump-back bridge. Turn left immediately after these lights and our office is 200 meters down this road. You can park in the spaces opposite Advent House or if these are full continue down the road and turn right into a large car park (you will see the Biscuit cafe). Parking is free. Please note that if you use our postal code in Google maps, it may take you to an address on Penstraze Lane, which is the road next to Station Approach. To find out bus routes to our office, please go to https://bustimes.org.uk/localities/roche. The number 27 bus runs between Truro and Bodmin, calling at various stops along the way. NB: Please note, typing in the postcode to Google maps will take you to Penstraze Lane, which is the road before Station Approach.